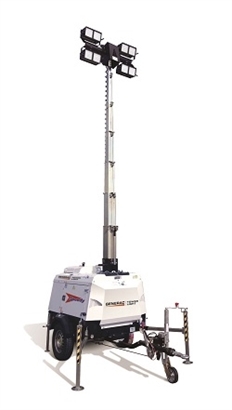 The VT Hybrid is the world’s 1st Hybrid Lighting Tower incorporating Hybrid Engine Technology and LED light heads which dramatically reduce running costs and noise output. The unit utilises modern LED lighting with an advanced battery system and light sensing technology. The VT Hybrid - is a lighting tower which utilises modern LED lighting with an advanced battery systems and auto light sensing technology. VT Hybrid features a hybrid battery/diesel system with auto charging technology. The set runs on 90% battery power and 10% fuel. The battery is automatically recharged via a low battery monitor system, combining 8-hours battery power and 8-hours generator usage. Products which reduce the noise impact of operation by over 10% to an earlier model or products designed specifically to reduce noise levels.